EDITOR’S NOTE: Izdihar Dabashi, the writer of this poem, is a writer, college student, and Muslim living in Beacon. 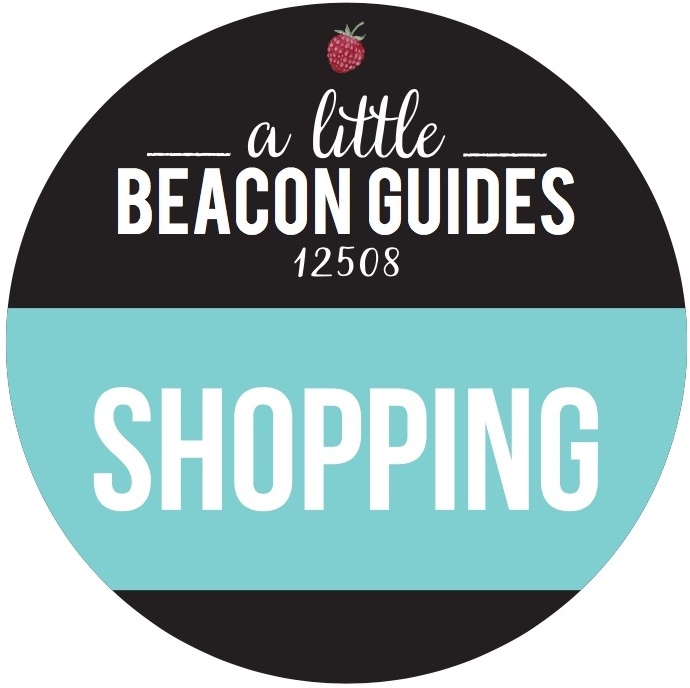 You can read her articles on A Little Beacon Blog here. 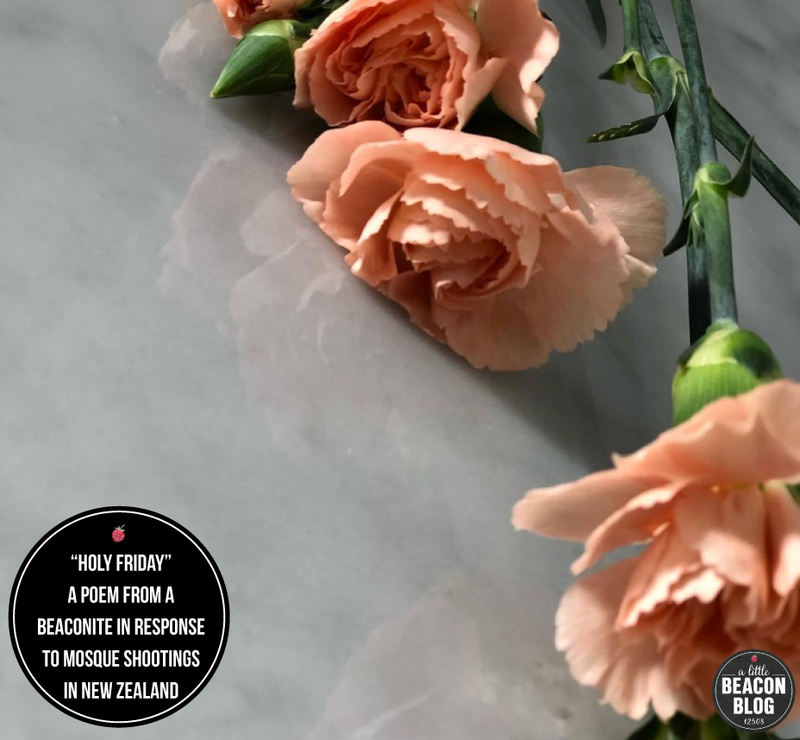 She has penned a poem in response to the mass shootings at two mosques in Christchurch, New Zealand, this week. The shootings happened on the afternoon of Holy Friday. Izdihar explains the meaning of Holy Friday, also known as Jumu’ah: “Muslims consider Fridays to be holy. A lot of people try to make it the mosque to pray. A sermon is given. It is like the Muslim version of a Christian’s Sunday church. The Friday prayer is held in the afternoon, and Muslims take a little more time to say their prayers. “On Fridays, Muslims are more connected with their community and often will call friends and family just to let them know they’re in their thoughts and prayers. Izdihar’s poem was first published on her Instagram account here. She granted permission to have it republished on A Little Beacon Blog as well. Her InstaStory has a more images of the people hurt and killed. what else to expect from a deluded man and his object of destruction? from a man who laughs in tune to the cries of the innocent, to the symphony of his gun? as they are free to live joyous lives? who is left to protect? 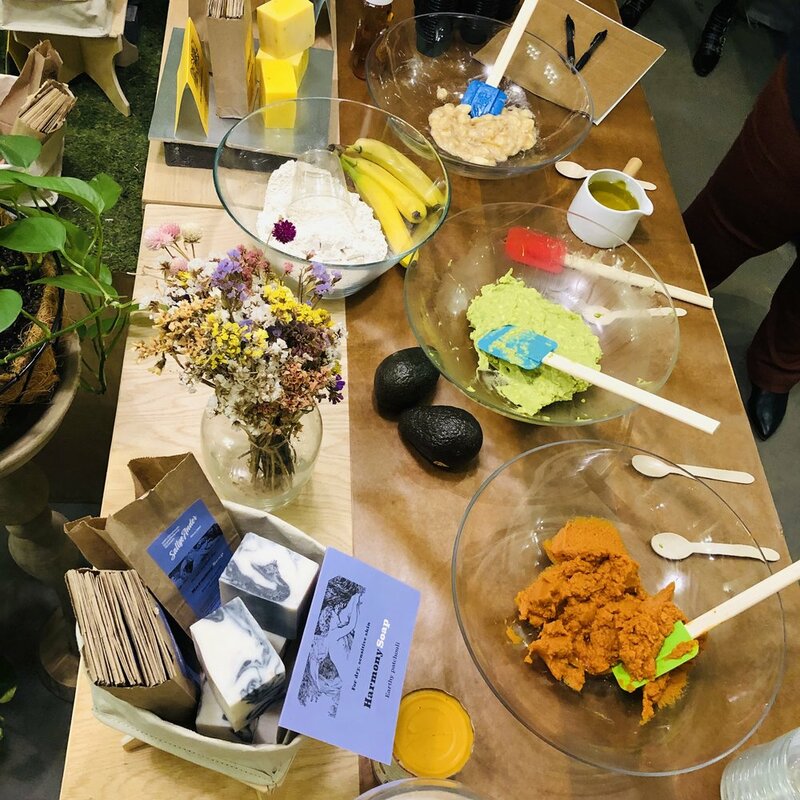 We went to SallyeAnder Thursday night to discover their new face mask line, and make our own as an activity. The face mask, just like everything else SallyeAnder creates, is made of all good or plant-based ingredients - we could have eaten the version we made, which included banana and olive oil! Though you would not want to eat the face mask in the box that you would purchase - you would just be normal and apply it to your face two to three times per week to pull out the toxins and dirt, and leave your face feeling fresh. This combo was put together for this show ‘n’ tell event only, to illustrate how natural the ingredients are, and how simple the mask is at its core. The one we mixed (and by “we,” I mean my daughter, who was in charge of our batch) had smushed banana, but we could have gone with straight-up avocado, or pumpkin. While in the shop, I checked off my to-do list of converting to a super-natural, minimal-chemical life for deodorant (with cancer scares around me, I’m looking at things I can easily change). SallyeAnder has a Deodorant Stone, where its salt minerals kill bacteria that cause the odor. I also am trying their face balm, Krudd Balm, to replace my morning Oil of Olay moisturizer - I need to trust the ingredients! Sallie has been heading up the business ever since. Three children of her own later, she says that she is so glad that Beacon is their home for the business. Having a nationwide soap brand with their flagship store right here on the east end of Beacon - who also manufactures on the west end of town - is pretty handy. And by handy I mean AWESOME. 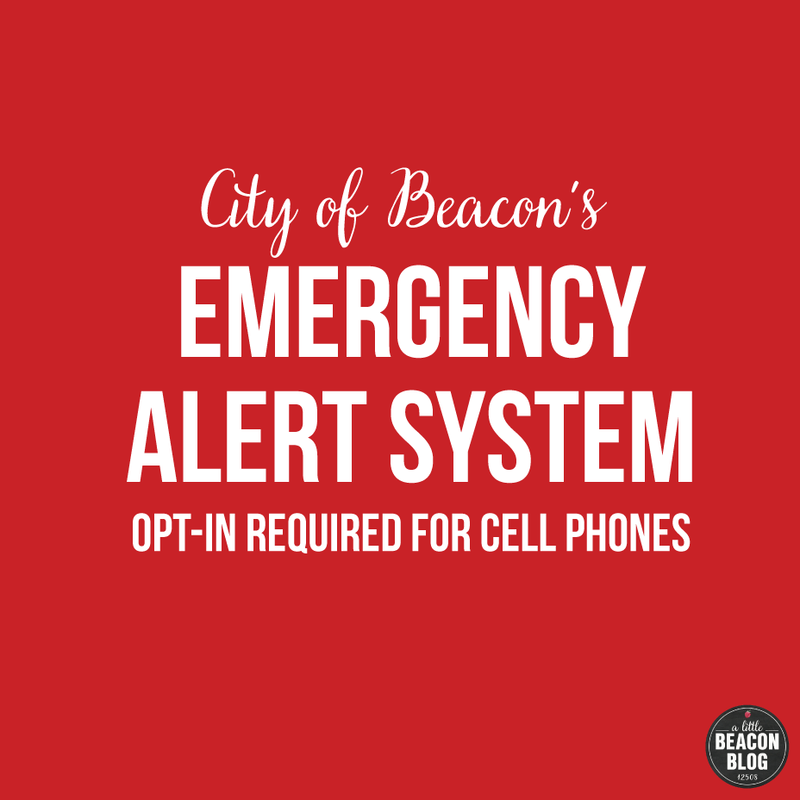 It’s a really good time to move to Beacon. I mean, it’s always a good time to move to Beacon, people have done it time and again no matter what the month. But now is good because the market has opened up a bit. Earlier this year, fewer houses were on the market, and now there are quite a few. More and more people are getting involved with city regulations and how taxes work, so there is a revived look at how our taxes are calculated. 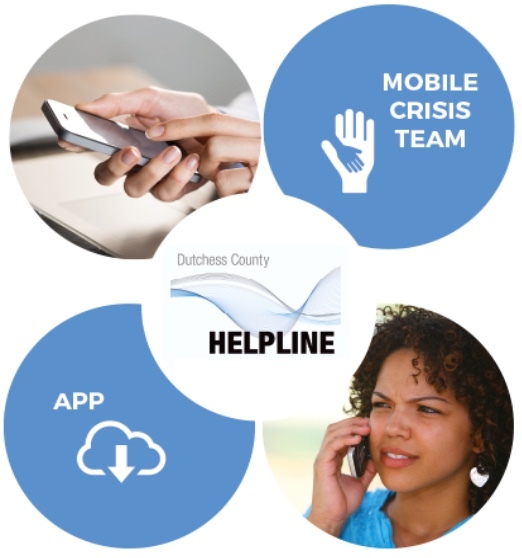 Like the Assessment Rate or the city’s Sales Tax that currently goes to Dutchess County to be managed (this decision up for renewal in 2024, so look for fresh debate). Renovations around town keep rolling, either by the new homeowners or by flippers, so pretty much anywhere you look in Beacon, a house is getting a makeover. And then there are the apartments that are going to be finished soon. There are a lot of options (and emotional adjustments, for those of us not expecting to see so many new buildings go up, but that’s a different blog post, and one that I personally have faith will work out as different voices contribute at City Council, Zoning and Planning Board meetings to have their view heard). When we moved to Beacon from NYC, it was during the time of President Obama when he lifted the tax penalty on draining your IRA for anything but retirement. He made it tax penalty-free to use your IRA to buy a home. 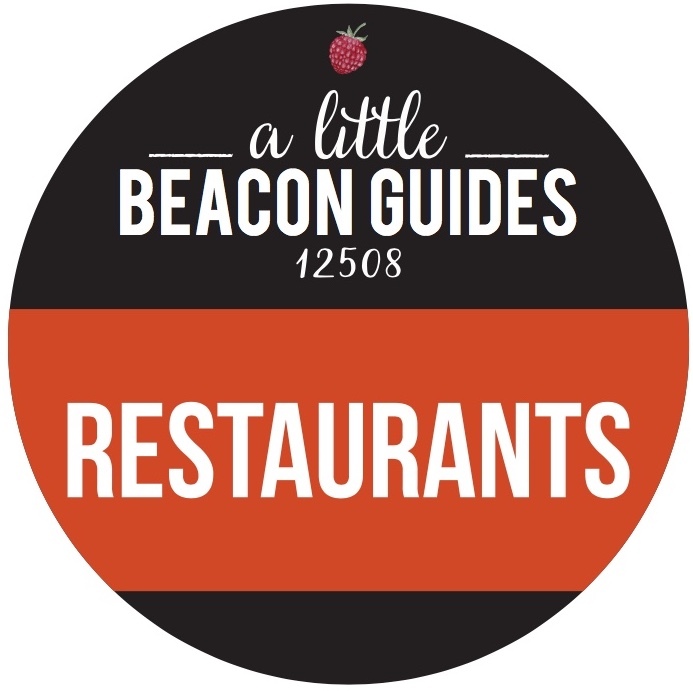 We kicked our apartment/house search into high gear so that we could use the tax advantage, and visited a lot of NYC apartments, then tested other train towns, and dug our heels into Beacon. We visited all sorts of houses in Beacon, mostly with scary basements and no closets. After touring one house that had been on the market for 4 days and had the B-Dry system, which was a $10K investment that made the basement dry, we made our offer. While the sellers considered it, we stumbled hungrily into Poppy’s, which is now MOD, for a much-needed burger to process what was about to happen. The night we moved - because it was nighttime after the movers packed all of our boxes that day in NYC; otherwise we would have been buried in boxes in our tiny apartment - we drove up to Beacon in the moving truck. My most happy time was sitting in the front seat of the moving truck, driving past the wide open spaces on 9D that were actually Garrison homes with large, rolling fields for yards. Those blended into Cold Spring, which disappeared into the tunnel of Breakneck Ridge, until we got to the other side of the ridge and the stars emerged in the sky again. As the movers moved in, my dog was investigating our new front yard within our own new-for-us old chain-link fence, as I stood on the front porch. Again the sky was black with stars. The black enveloped me. The artist Stanley Lindwasser just described it perfectly at his art opening - the openness that is density. That’s what he loves about his new home here in Beacon after moving here from Hoboken, N.J.: the density. And that’s what I loved. I never wanted to lose that feeling of being enveloped by the dark on my front porch, seeing the stars, and feeling so lucky that this space would be what grounded us. A few days later, The Great Blizzard of 2010 hit, and we lost power for three days. We are not campers in the wilderness. In our adulting lives, we grew up in NYC with supers who fixed our kitchen sinks or hung things. We didn’t know how to light our gas stove in the event of a power outage. The next day, our new neighbors, the ones with the late-night dog walking, invited us over for a warm meal and a kerosene heater. They bickered about using the kerosene heater for a bit while I silently prayed they would decide to keep using it because it was just so warm. They also told us how to light the gas stove. Game changer. So that’s when we fell in love with Beacon. In the winter. While the power was out. It brought us together with our neighbors, and introduced us to the concept of community, something which New York City has in a different way, but not the same way that a small city-town can produce. What is your moving-in or moving-back story? Or if you moved here 20 or 50 years ago, share that story too! Piano created by the artist Lori Merhige. Just because you needed a little love note today, we wanted to pass along to you this email sent by a reader early this week. As you may have noticed, Beacon is decorated right now with pianos in seemingly random locations. You may occasionally hear the sound of Beacon from several street corners as people sit down to play whenever they feel the need. In fact, A Little Beacon Blog has published an essay by Izdihar (Izzy) Dabashi capturing the sounds and beauty of most of the pianos - read it here. Just wanted to share these photos of our winged bear with you. We were New York City middle school teachers for 30 years...music and drama. About a month after 9/11, our school received a gift from J.C. Penney - hundreds of teddy bears arrived delivered in giant boxes - one for every student, teacher and employee in our school. As you can imagine, the teddy bears provided great emotional comfort for all and we have kept our bear all these years. When we saw the beautiful winged piano in Beacon, we just thought our bear was a perfect match. Many thanks to all who bring us these beautiful pianos each year... we play each one and look forward to their return next year. The organization behind the pianos in Beacon is BeaconArts, known for their public art projects that appear and disappear all over town, all year round. We have a feature story coming out about this, so stay tuned because that’s where you’ll be able to learn more. In the meantime, enjoy the pianos while they are here. They will be rolled away soon and stored for next year. 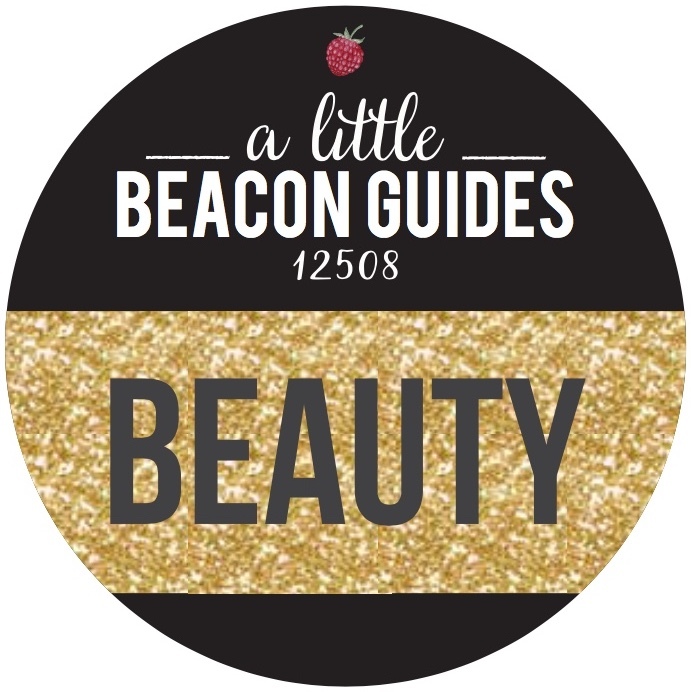 Back by popular demand, the girls from Your Presence Salon are taking a road trip, leaving their Poughkeepsie location to visit A Little Beacon Space in Beacon on Sunday, May 7. They'll be cutting your kid's hair from 10 am to 4 pm for $16 a head, while the kids and I do face-painting at our table. It's even bigger than last time, in order to accommodate so many little faces. Face-painting is $1, the proceeds from which are being donated to the Kindergarten Teacher Teams in Beacon City Schools. 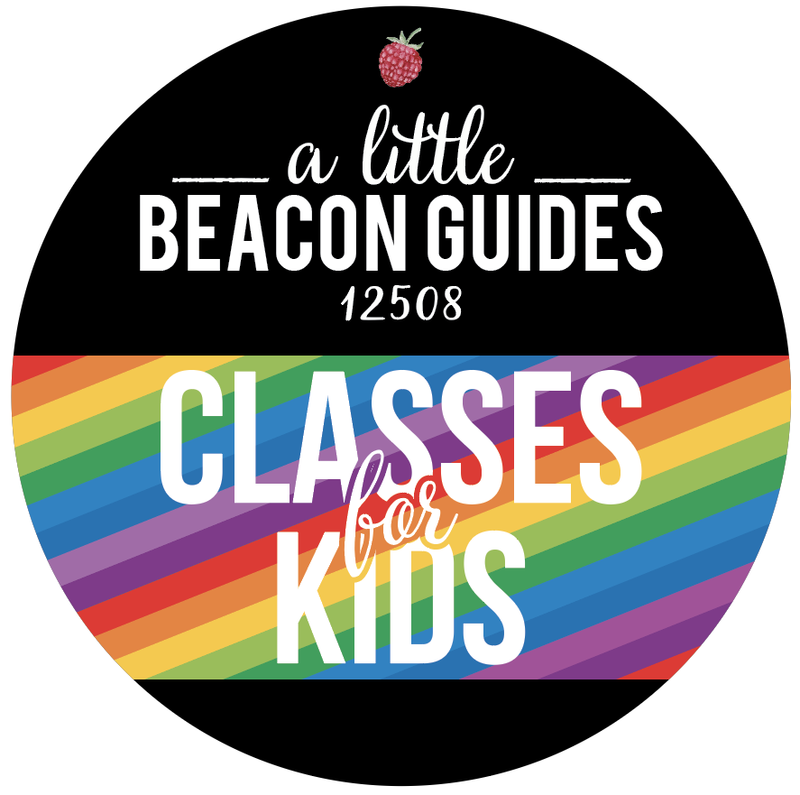 The first two Kitchen Cuts events raised about $60, which A Little Beacon Blog matched to bring a total of $130 donated to the Kindergarten Teacher Team at South Avenue School. We have gotten the paint out again in order to ramp up efforts to donate this amount to the other three elementary schools. The day is super fun, and is a great chance to get your entire brood's hair cut - boys and girls - short and long hair. We have cut bangs for the first time (the child's first time, not the stylist's! ), long locks for the first time, and used the mini-flat iron to create little Goldilocks out of the girls. This time, we are bringing in an actual hair chair, originally purchased from the Beacon Buy Sell Group to serve as my daughter's desk chair in her room (more fun than sitting in a regular chair, right?). Walk-ins only. Cash or credit. See you soon! Think a wellness oasis right on Main Street is impossible? Think again! Opening their doors this Saturday is The Inn and Spa at Beacon, located at 151 Main Street. Leave your worries at the door and allow yourself to be pampered with a Hudson Birch Deep Tissue Massage or a Blue Eucalyptus Energizing Massage, to name just a few of the spa services available. The Inn & Spa at Beacon will serve as a retreat space from the hustle and bustle of your daily life, with many getaway packages to choose from. The basement will feature the full spa and the Water Spa, including hydrotherapy tub. The Water Spa will be opening soon but you can still take advantage of their other treatments such as facials, massages, scalp treatments, and more. Meet owner Roger Greenwald on Second Saturday (April 8), and explore the new, beautiful space he's created. Roger has a background in architecture and a love for 18th-century design. Roger has spent most of his career developing luxury residences in Washington D.C., where he's originally from. As an avid hiker, he would frequent the Hudson Valley to explore the numerous trails that make this area a hiker's dream. Upon retiring, Roger relocated to New York and settled in Philipstown almost four years ago. While visiting Beacon, Roger spotted the empty lot on Main Street's western end and had a vision of building a space that provides an experience for all of the senses. He saw the exciting, ongoing renaissance Beacon was undergoing, and he wanted to be a part of that. After drawing up plans, gaining support from the neighbors, the mayor, and the chief building inspector, construction began. This is Roger's first boutique hotel, but it's more than simply a room to check in. You come to The Inn and Spa at Beacon for an experience. In addition to a delicious spa treatment, visitors can enjoy regular events like morning yoga on the rooftop garden facing the mountains, or waltzes under the stars on Sunday nights (Roger is also a swing dancer). Read a book by the fireplace in the solarium, and enjoy the beautiful original art on display throughout the entire spa including local glass artist, Barbara Galazzo. Roger is a BeaconArts member and plans on contributing to the vision and mission of the community. The rooftop will be a space for live music, lounging, and yoga classes (those will move indoors for the winter). It is a perfect multifunctional space with views of Mount Beacon, Main Street, the Hudson River, and the Newburgh-Beacon Bridge. Every Tuesday will be "Beacon Tuesdays," when The Inn and Spa at Beacon will offer Beacon residents selected one-hour spa treatments for $99. 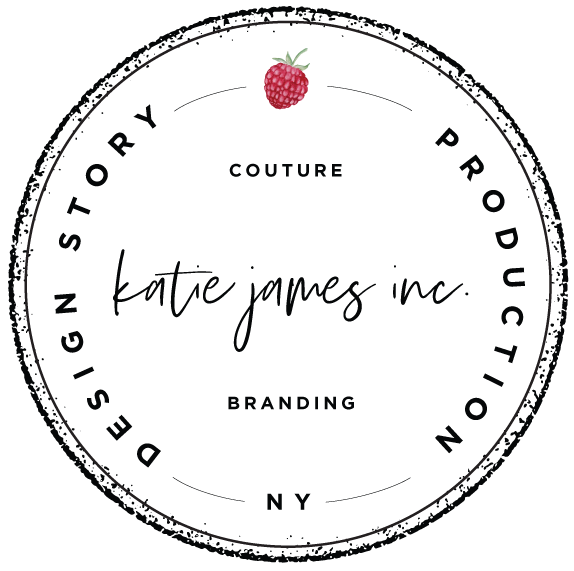 They will also offer Naturopathica skin care products, the exclusive brand for the spa, to members of the Beacon Community at a 10 percent discount. While the building may appear small from the outside, its high ceilings and spacious rooms still bring about a sense of luxury and comfort. It is almost hard to believe that this is a brand-new building, as it blends into the city's aesthetic perfectly. The building has five floors including the spa basement, but the 12 guest rooms are located from the ground floor to the top (fourth) floor. You can visit The Inn and Spa at Beacon this Saturday during their Open House from 5 to 7 pm, but their doors will be opening at 10 am. They will also be open on Sunday, from 10 am to 5 pm. 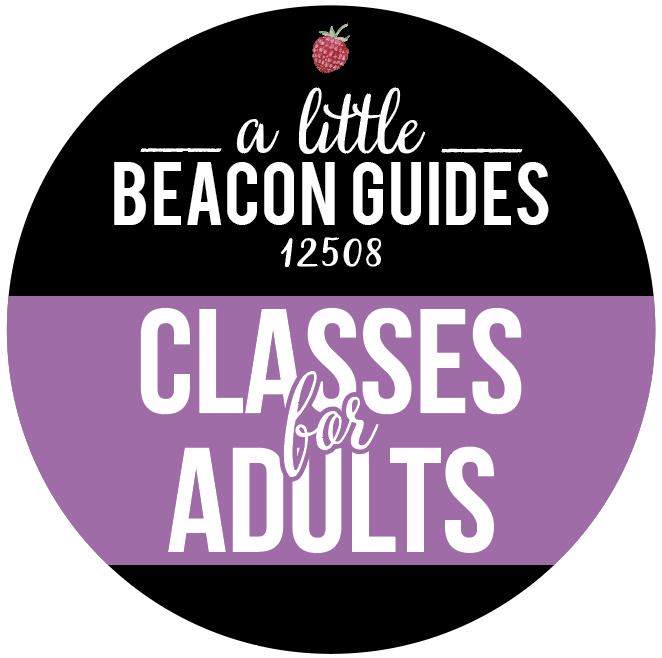 They are closed Monday but will be open again on Tuesday for their first Beacon Tuesday, so schedule your appointment today!